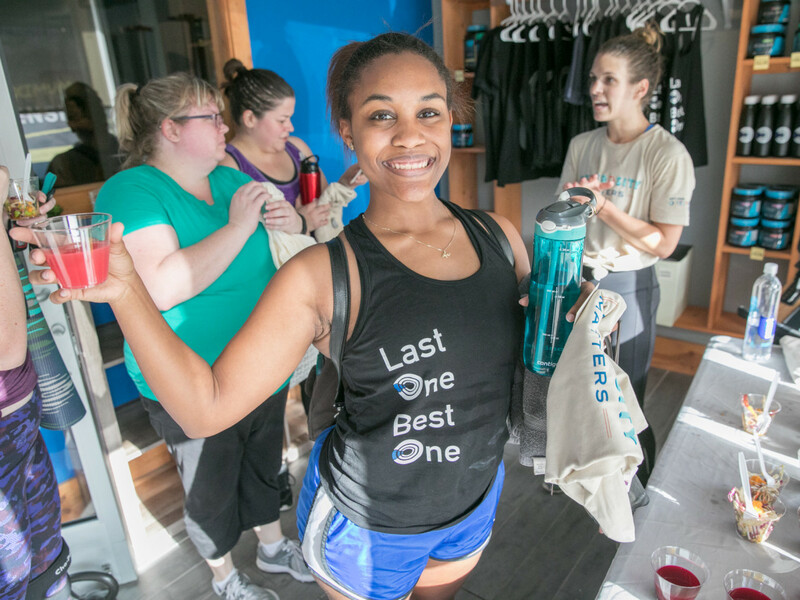 San Antonians heading to their regular Tuesday evening Energy X Fitness classes got a whole lot more than a good sweat. 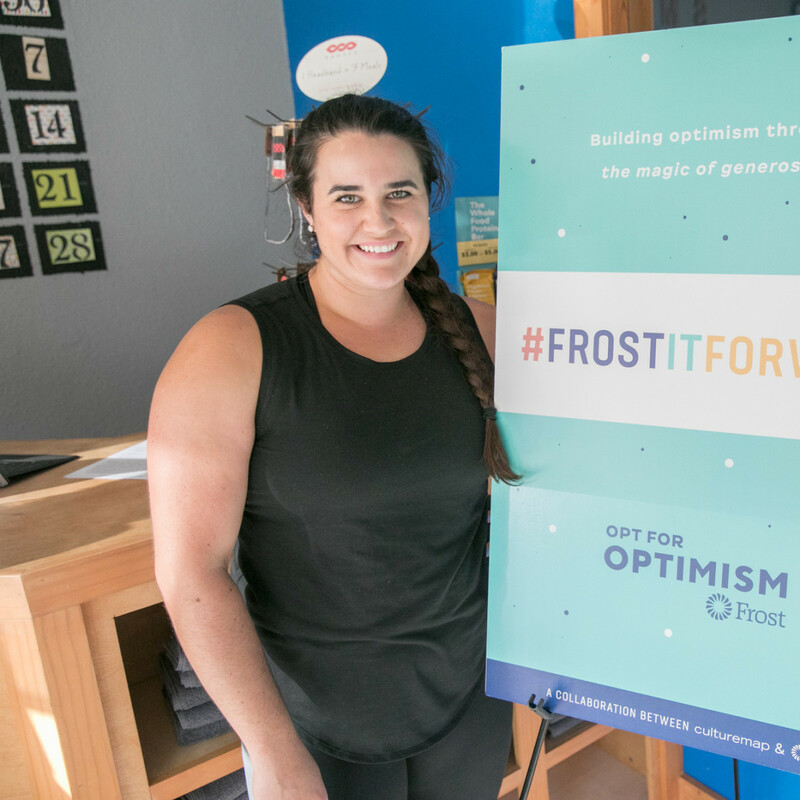 On July 18, CultureMap and Frost Bank popped into the San Antonio fitness studio to surprise gym-goers and inspire them to #frostitforward. 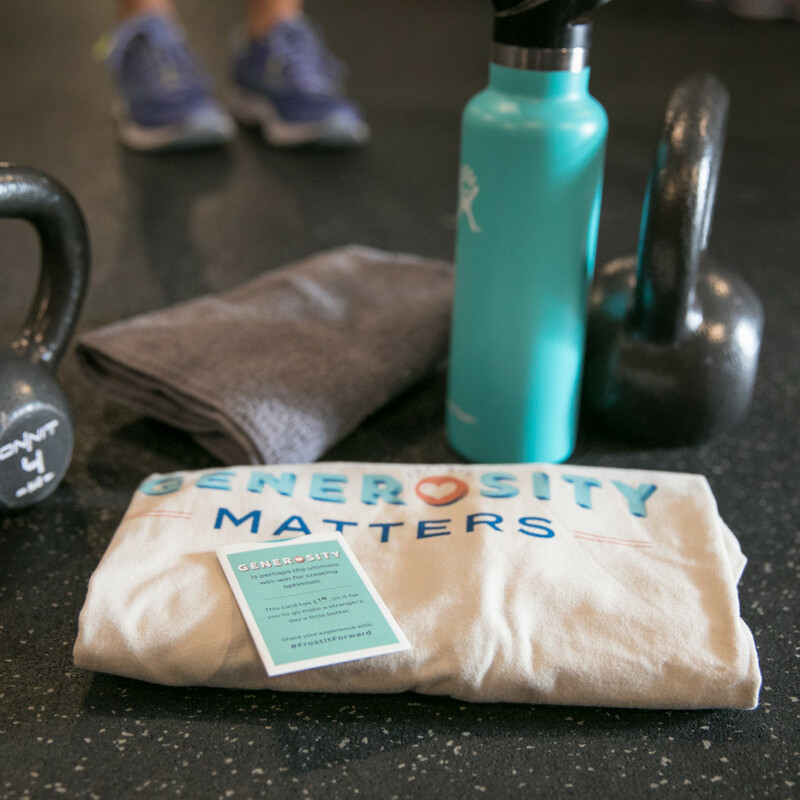 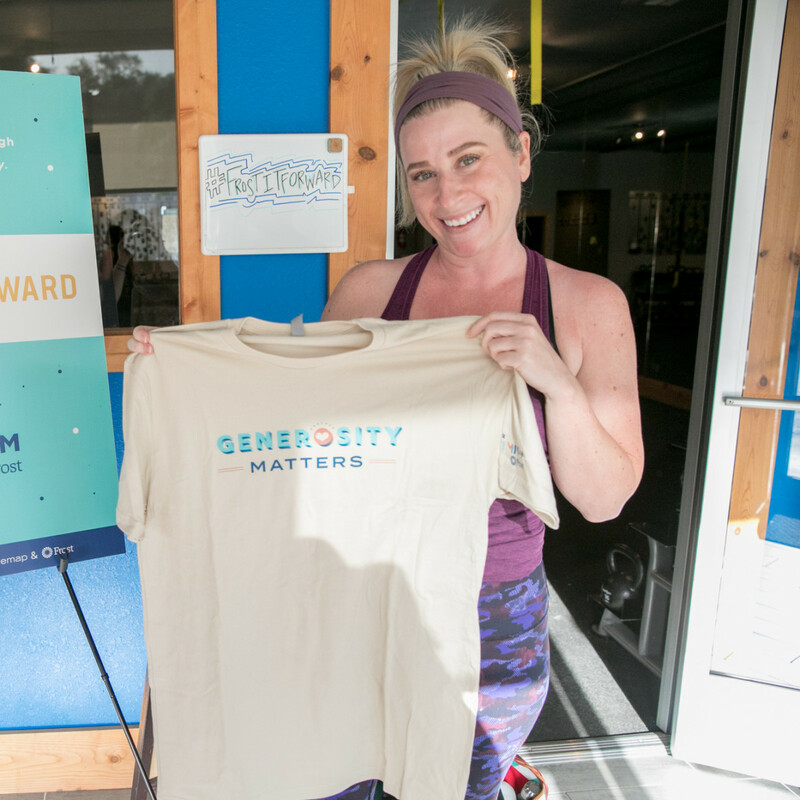 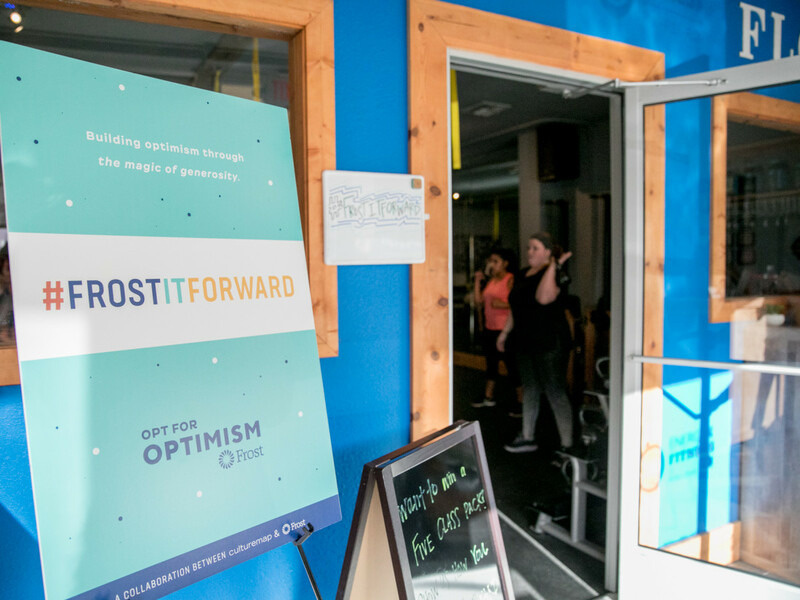 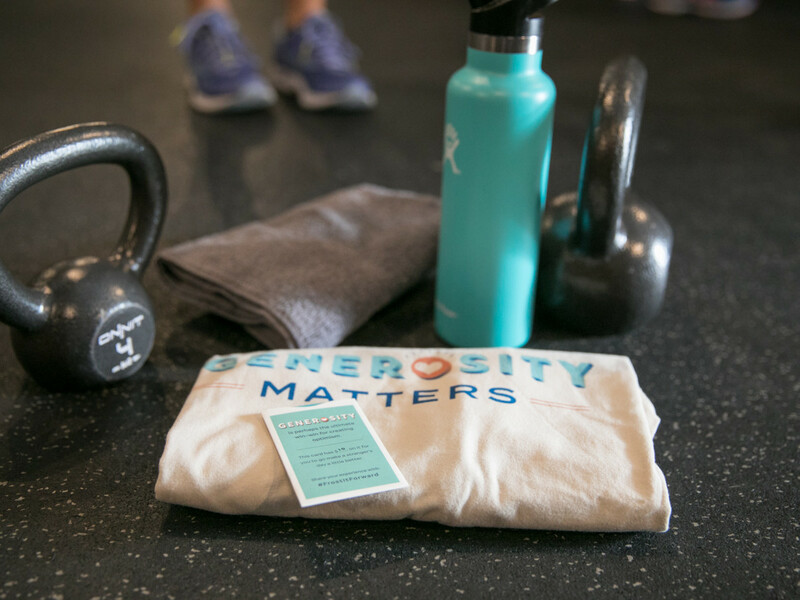 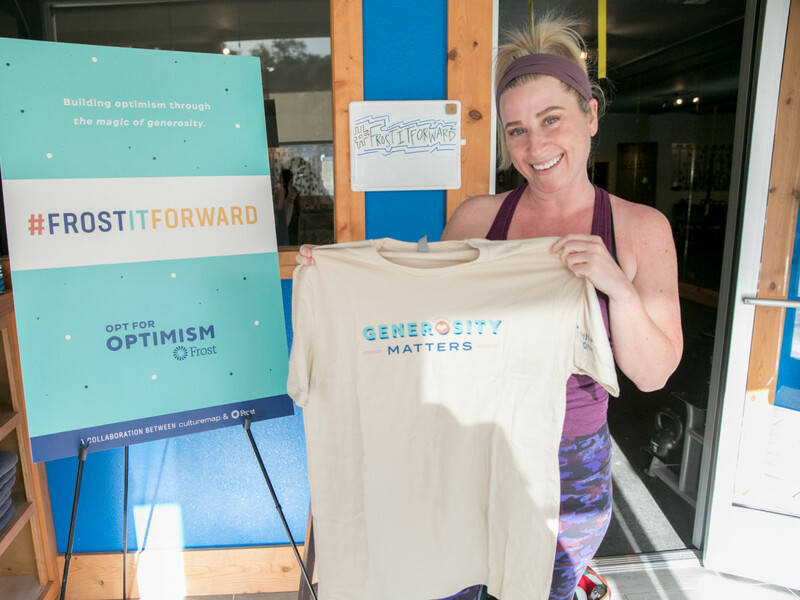 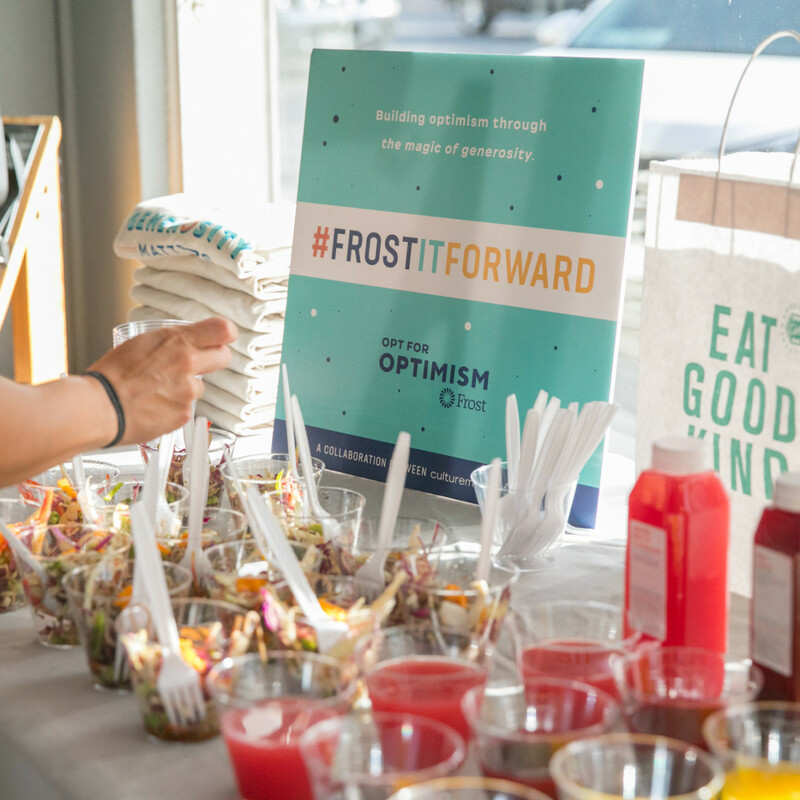 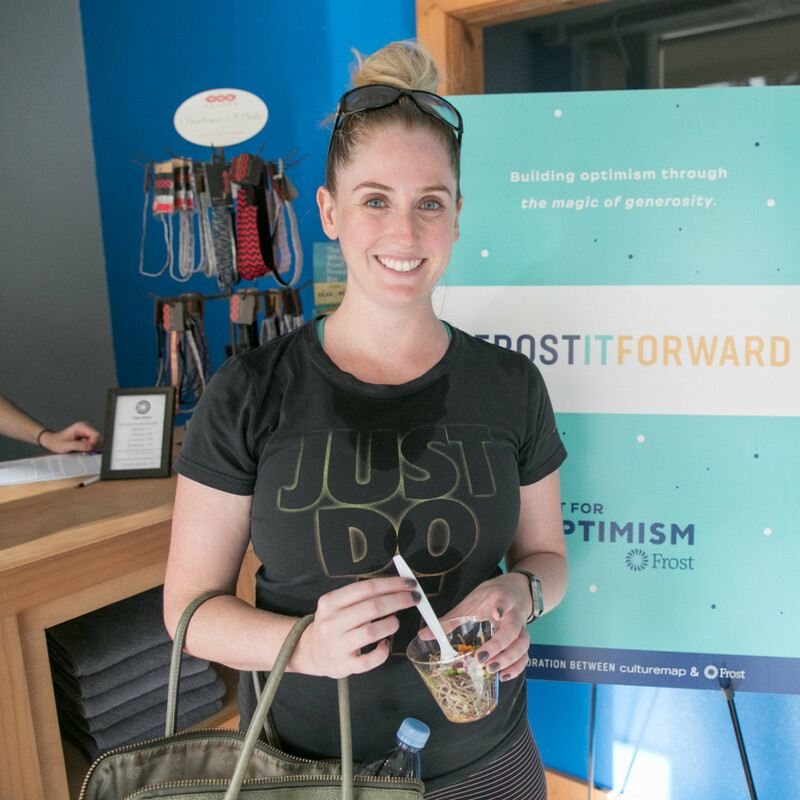 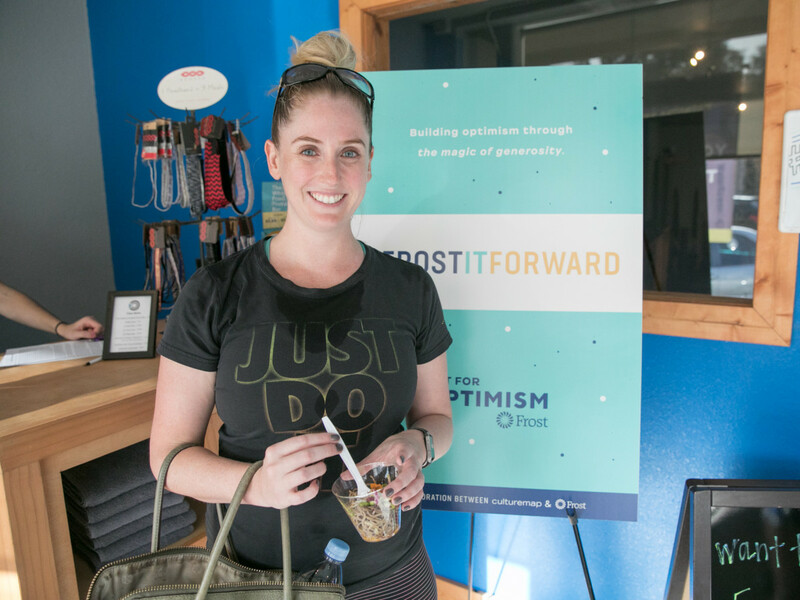 Attendees entering the studio to snag a Water Rower GX machine were surprised with a special "Generosity Matters" T-shirt, info on Frost's new Opt for Optimism campaign, and a Frost cash card asking them to #frostitfoward and surprise someone else. 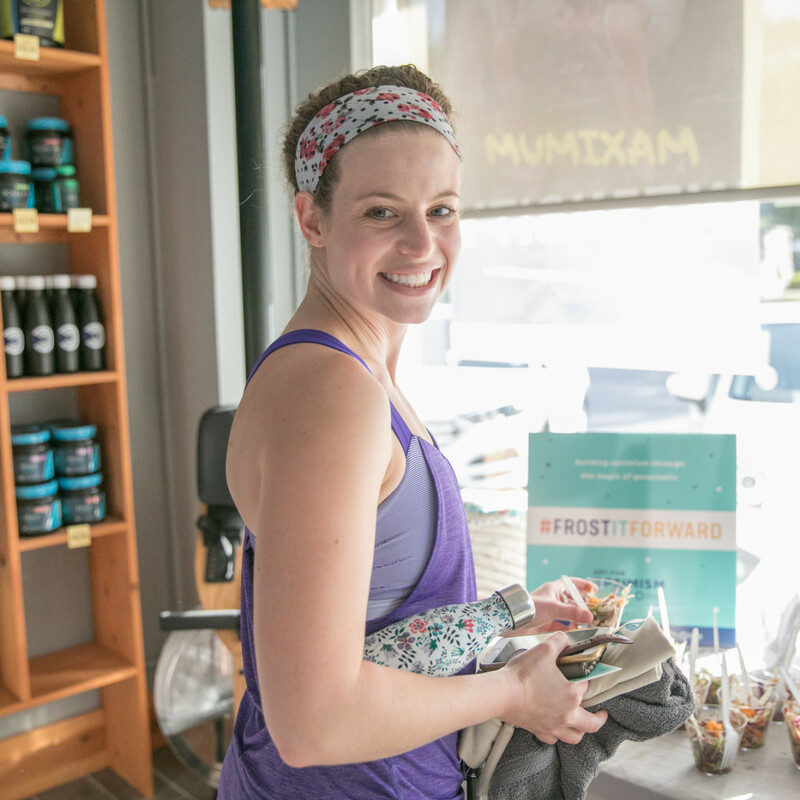 After a tough workout from instructor Maddie Duncan, students found more special surprises in the lobby, including swag and bites from The Good Kind. 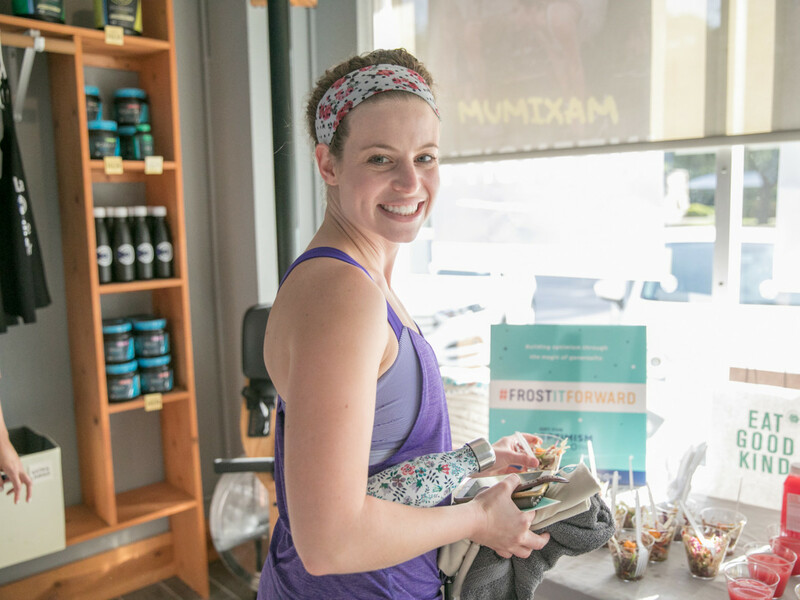 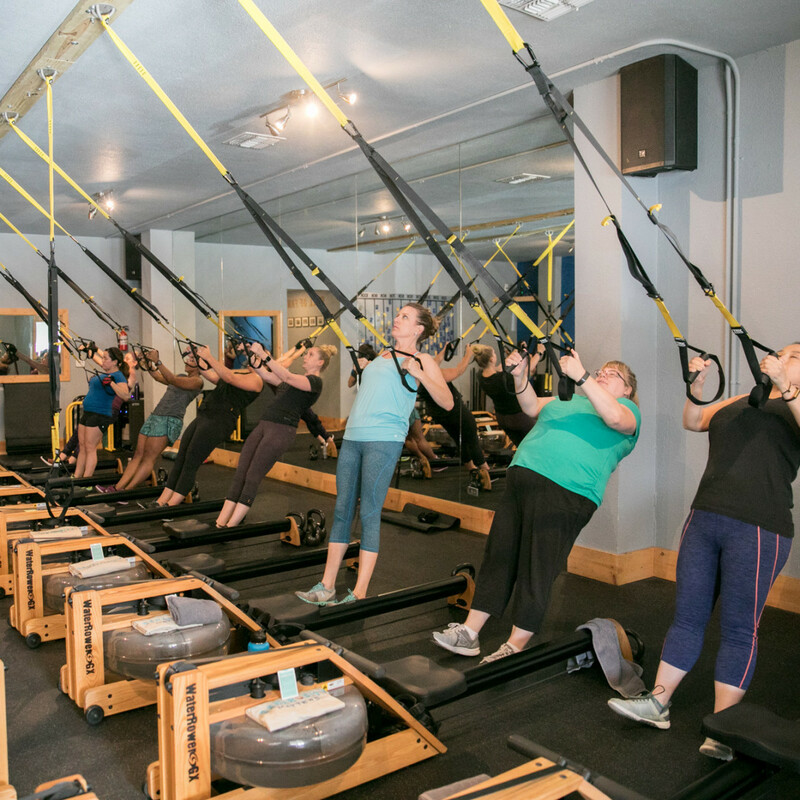 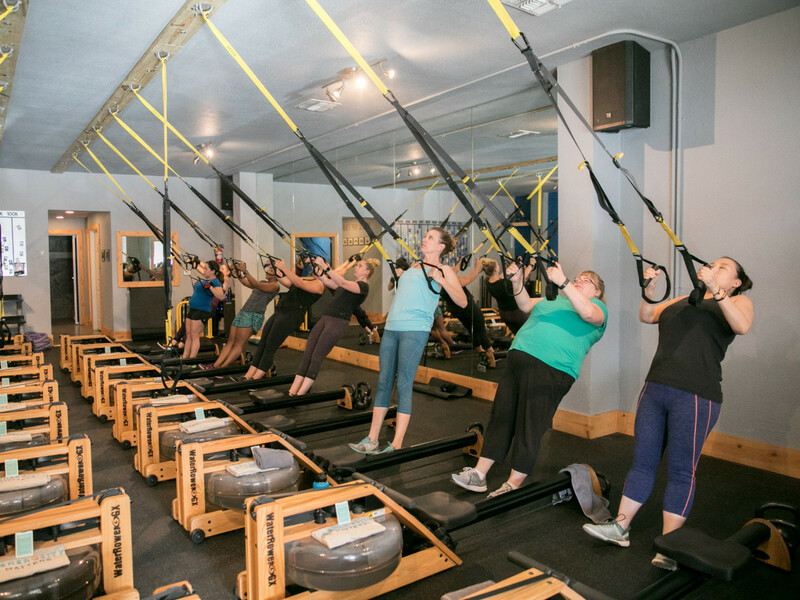 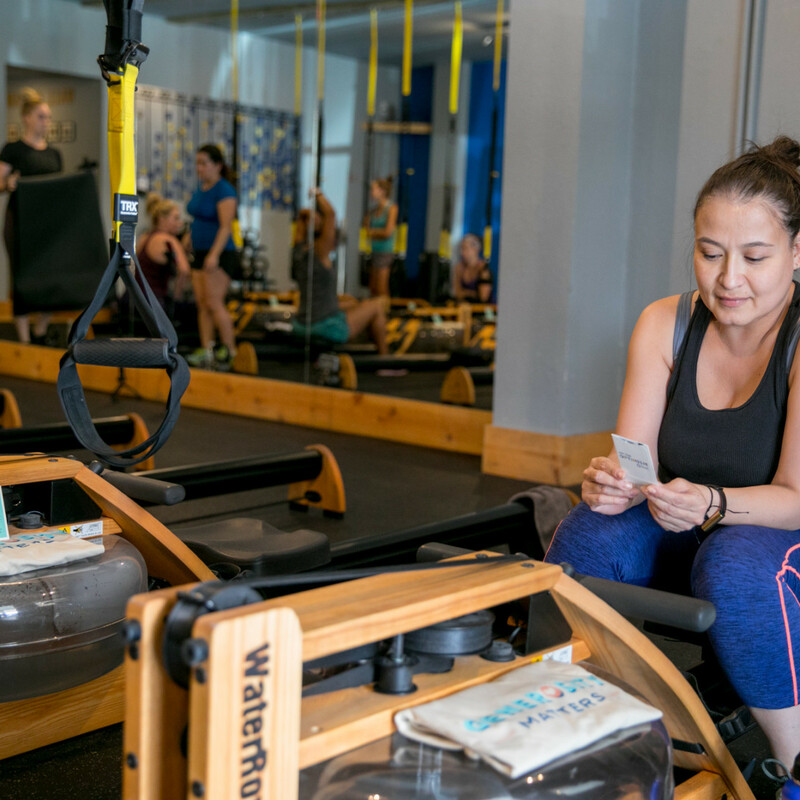 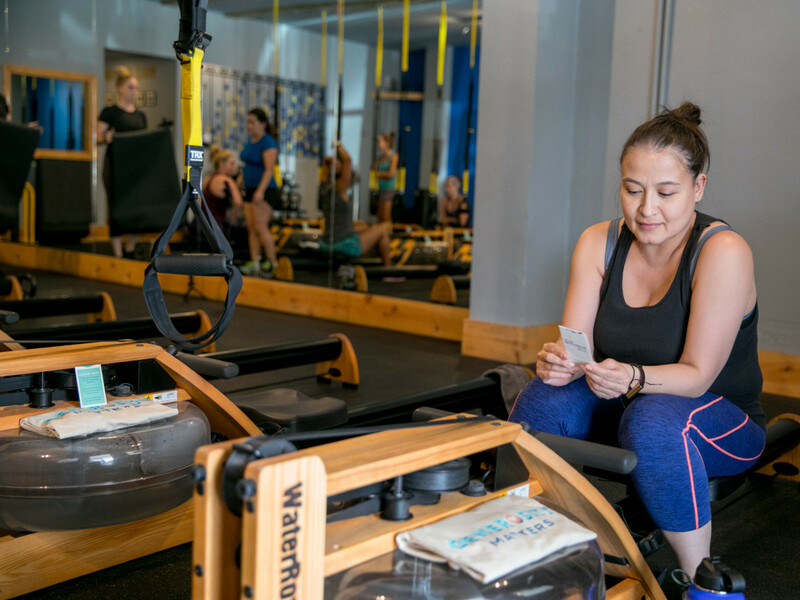 They were encouraged to #FIF on social media, showing how they used the cash card to #frostitfoward, and enter to win a free five-class pack from Energy X Fitness. 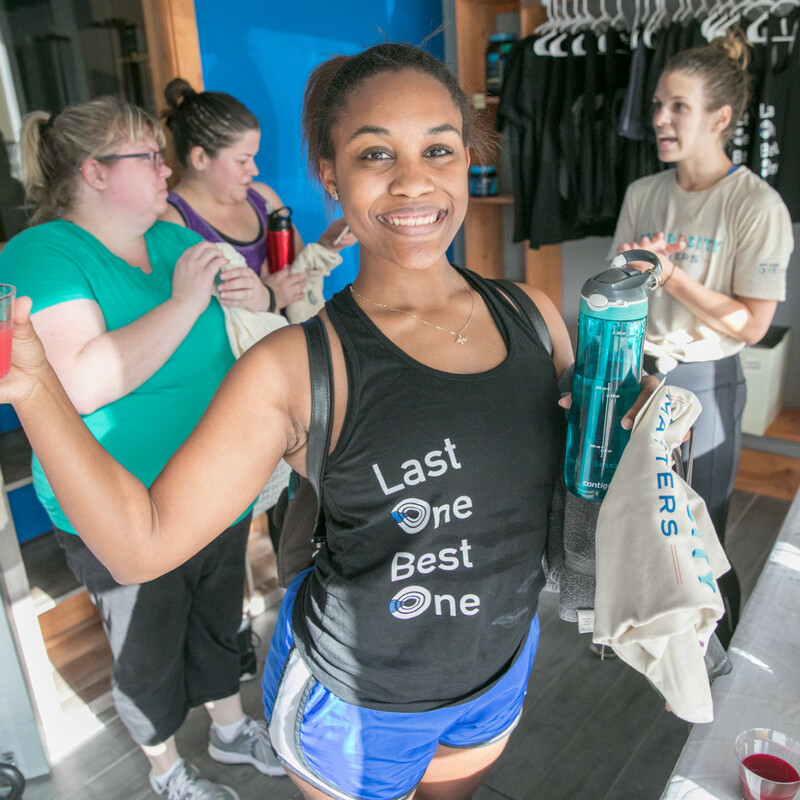 If you didn't make it to the class, there's still an opportunity to get involved. 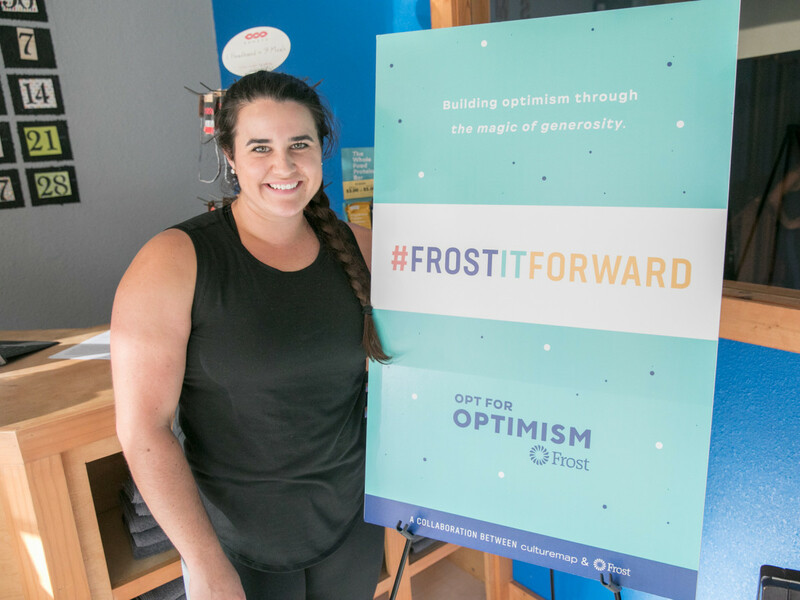 As part of Frost's new campaign, CultureMap has launched a curated San Antonio Charity Guide as a one-stop destination for area nonprofits and charities. 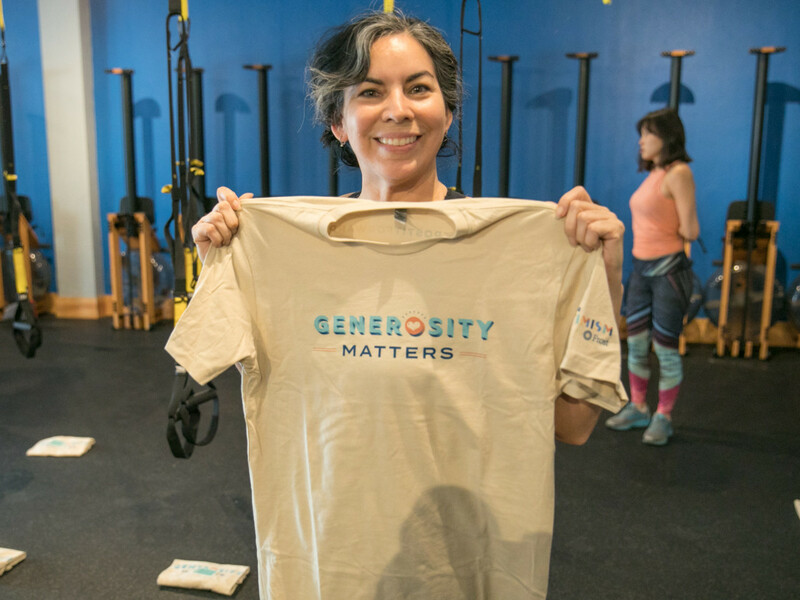 Search by name or type of organization to learn how to get involved. 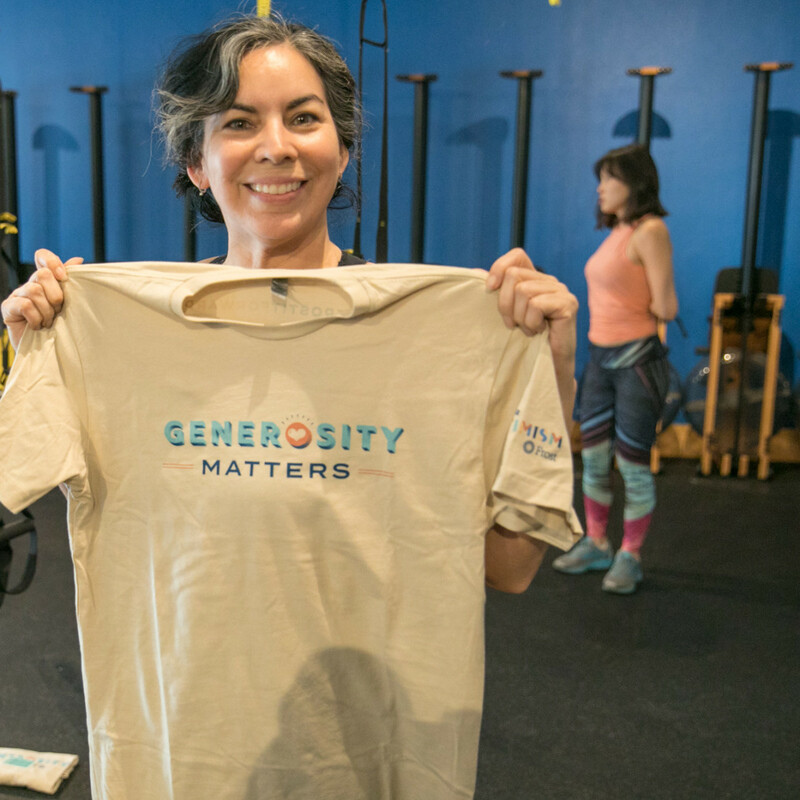 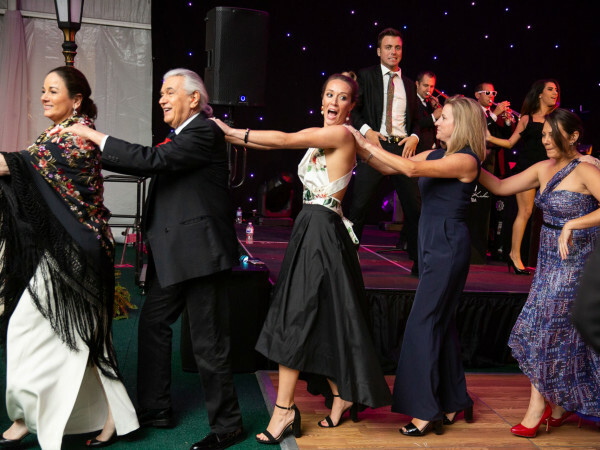 And follow along all year as we uncover the sweet and inspiring stories of other San Antonians giving back as part of our Charity Guide special editorial series. 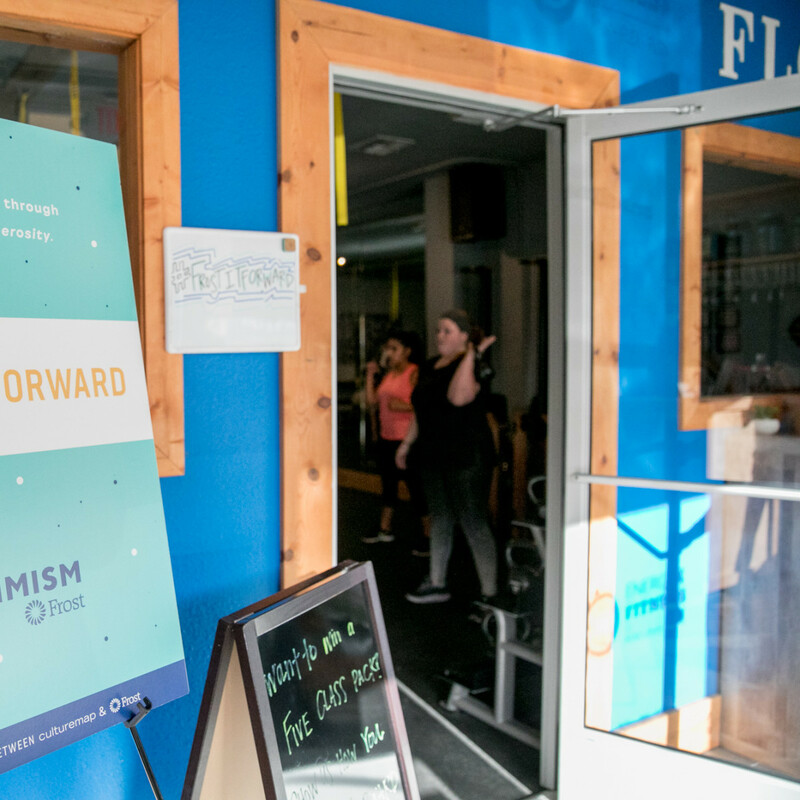 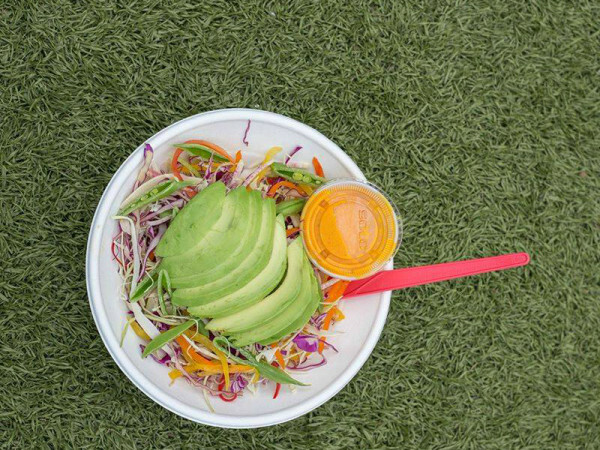 This pop-up was the second of seven surprise events happening all around Alamo City this year. 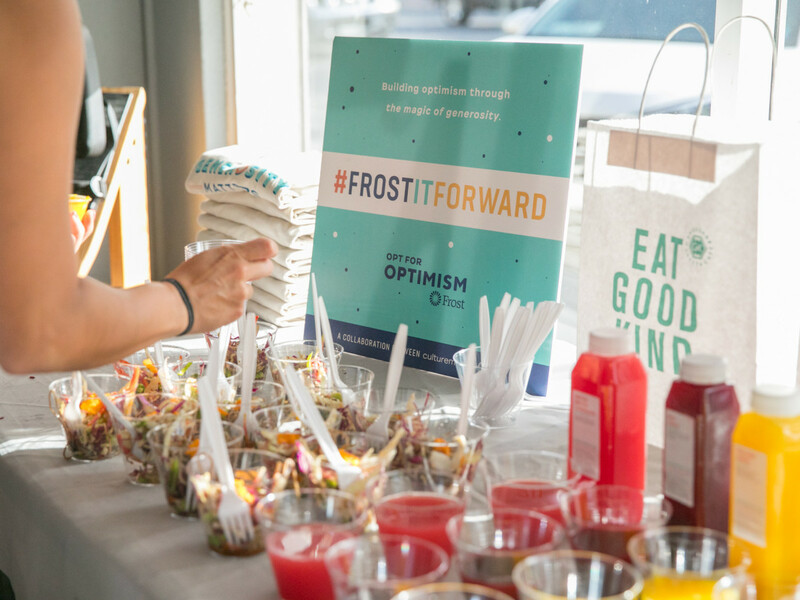 Read all about the first event at Bakery Lorraine, and follow along on Instagram and Twitter to get clues about our next surprise visit.